I’m always encouraging people to eat foods that are organic, and some of the reasons for this is to avoid the xenohormones fed to the livestock, as well as to avoid the pesticides and herbicides sprayed on fruits and vegetables. But another reason why you want to try eating organic is in order to avoid GMOs (genetically modified organisms). Certain foods are genetically modified, and to no surprise, there is evidence that this can lead to many different health issues. The primary genetically modified foods include corn, soy, canola oil, and cottonseed oil. So even if you don’t eat a 100% organic diet, at the very least you want to try avoiding these foods and oils. Many people reading this already try to avoid unfermented soy, but some aren’t aware of the health issues with genetically modified corn. And so if you buy anything that has corn in it, make sure it is either organic or that it says non-GMO on the packaging. And you need to be careful when reading ingredients, as it’s obvious that corn meal, corn syrup, and corn starch are all derived from corn. However, other ingredients may not be as obvious, such as caramel and baking powder (from corn starch). Most people don’t know that ascorbic acid is made from corn syrup, and so the corn used to make this can also be genetically modified, which is yet another reason to consume a whole food vitamin C complex. Why Does Genetic Modification of Foods Take Place? Foods that are genetically modified have changes made to the DNA. What they are doing is essentially taking genes from one species and inserting it into the another species. This leads to crops that are able to be resistant to herbicides, as well as crops that are actually able to produce their own pesticides to kill organisms. There are numerous reasons why foods are genetically modified. A big reason is because GMO crops makes it easier for farmers to kill weeds. Genetic modification allows the crops to be resistant to herbicides such as Roundup, which can lead to nutrient deficiencies and many other health issues. And crops which can produce their own pesticides sounds like a great idea, until you realize that it not only kills organisms which may be harmful to the plant, but it might also cause harm to the animals and humans which ingest these crops. Obviously it all comes down to making a greater profit. Even though FDA scientists have issued warnings about the risks associated with GMOs, this has been ignored. Why Do GMOs Cause So Many Health Issues? The reason why genetically modified food causes so many health issues is because the body doesn’t process these genetically modified foods the same way as non-GMO foods. Once again, when you genetically modify corn, soy, or other foods, this will change the DNA, and the immune system sees the proteins in these food as being foreign. So there will be an immune system response, resulting in inflammation, which can lead to many different health issues. But how can GMOs affect thyroid health? Well, there does seem to be some evidence that eating genetically modifed foods can potentially trigger an autoimmune condition, such as Graves’ Disease or Hashimoto’s Thyroiditis. But GMOs can lead to other autoimmune conditions as well, and other health issues such as autism, diabetes, Parkinson’s Disease, and many other conditions. 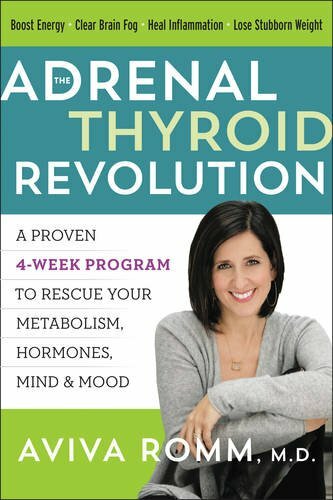 Plus, getting back to thyroid health, in past articles I’ve spoken about the risks of unfermented soy on thyroid health, as it can potentially inhibit thyroid gland activity. And of course having the soy genetically modified will only make things worse. 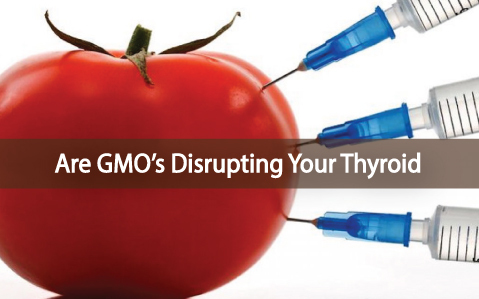 But how can GMOs affect thyroid health? Well, there does seem to be some evidence that eating genetically modified foods can potentially trigger an autoimmune response, thus leading to conditions such as Graves’ Disease and Hashimoto’s Thyroiditis. But GMOs can lead to other autoimmune conditions as well, and other health issues such as autism, diabetes, Parkinson’s Disease, and many other conditions. 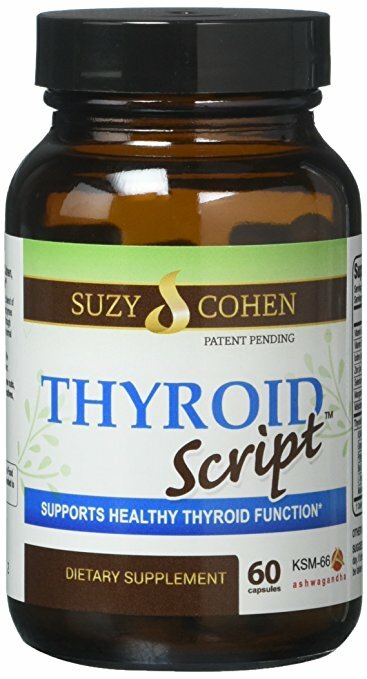 Plus, getting back to thyroid health, in past articles I’ve spoken about the risks of unfermented soy on thyroid health, as this can potentially inhibit thyroid gland activity. And of course having the soy genetically modified will only make things worse. Genetically modified foods can be harmful in other ways as well. For example, Bacillus thuringiensis is a toxin which kills insects by breaking open their stomachs. A wonderful idea was proposed (note the sarcasm) to alter the crop’s DNA to produce the Bt-toxin, thus breaking open the stomach of insects, thereby killing them. It sounded like a splendid idea, especially since this toxin wasn’t supposed to cause any harm to humans. But even though we were told that only insects would be affected by the bt-toxin, apparently it can harm some of the cells of the human digestive system, perhaps contributing to a leaky gut and other digestive issues. How Are We Exposed To GMOs? Obviously diet is the primary way that we are exposed to genetically modified foods. Those who eat mostly whole and organic foods don’t have this problem. On the other hand, those people who eat a lot of processed foods, and/or non-organic foods are susceptible to developing these health issues due to GMOs. For example, about 90% of the corn and soy in the United States is genetically modified. And a lot of processed foods have corn and soy ingredients. For example, many breakfast cereals have corn as an ingredient. And many adults and children eat these sugary cereals every morning (some will even add soy milk to this). While there are healthier options available, if you and/or your children are going to continue eating cereal for breakfast, then make sure it’s organic, or that the box says non-GMO. Of course this is just one example, as there are many other processed foods which include corn and/or soy. A few years before I was diagnosed with Graves’ Disease I loved eating vegetarian chicken nuggets, which primarily consisted of soy, although the brand I ate had some other unhealthy ingredients as well. The funny thing is that at the time I thought I was eating healthy. I know a lot of people reading this realize how unhealthy such foods are, but many still aren’t aware of this, which is why I’m giving these examples. Many people eat soy nuggets, soy burgers, drink soy milk, and think this is benefiting their health, when the exact opposite is true. Here’s another example. For those who eat meat, we need to realize that a lot of the livestock are fed these genetically modified foods. Many of these animals eat the plants treated with Roundup, which leads to the development of nutrient deficiencies, and then we go ahead and eat these unhealthy animals. And so even if we avoid processed foods but continue to eat non-organic beef, pork, chicken, etc., then we still will be impacted by GMOs. Is Changing Our Diet Enough? Of course it is important to modify our diet and try to eat foods that aren’t genetically modified. But is doing this enough to reverse the potential damage caused by GMOs? Well, it of course depends on the person, as sometimes just changing one’s diet alone is sufficient. There have been numerous stories consisting of adults and children who had different health issues that were resolved just by eliminating GMOs from their diet. In some cases their health condition wasn’t completely resolved, but the person’s symptoms significantly improved. However, if consuming the genetically modified foods caused problems with the gut flora or the lining of the intestines, then many times just stopping the consumption of GMOs won’t be sufficient. So while changing one’s diet is important, if significant damage has been done then some additional support might be required. But either way, hopefully after reading this information you realize the impact that genetically modified foods can have on your health. Many people with autoimmune thyroid conditions make an attempt to avoid gluten, dairy, and other common allergens, but some are still consuming genetically modified foods. And while I’m not suggesting that everyone needs to eat a 100% organic diet, you really do need to be careful about what you eat, and want to do everything you can to avoid GMOs. There is a lot of information on the Internet about GMOs, but I recommend for everyone to at least watch a movie called “Genetic Roulette”, which you can view by visiting www.geneticroulettemovie.com. 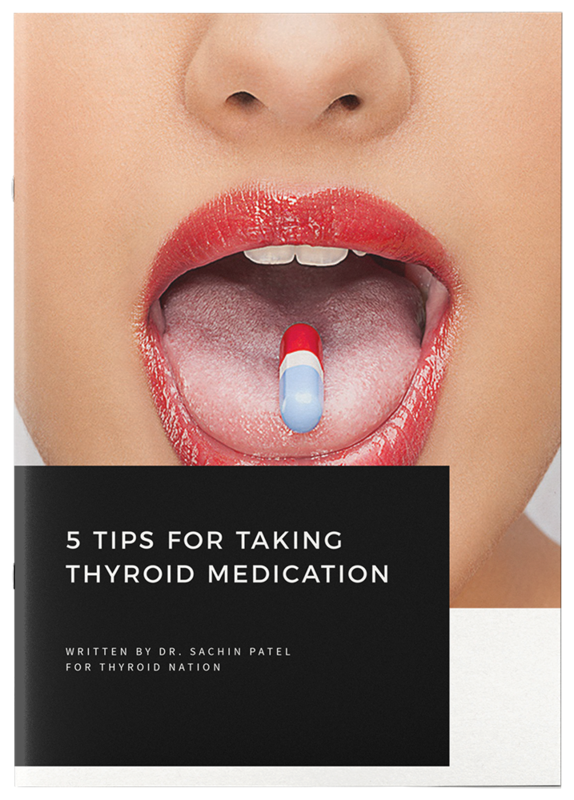 And when I say “everyone”, I don’t just mean those people with thyroid and autoimmune thyroid conditions, but even those people who don’t have any known health issues. This is especially important for those people who eat mostly non-organic foods. 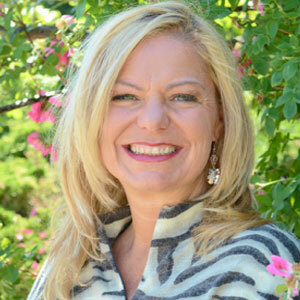 Questions or anything to ask Dr. Osanksy about progesterone? We want your thoughts in the comments section–Please!